The Guadalajara International Film Festival is a cultural event of great relevance for Guadalajara and Mexico. It is considered as one of the most important showcases for the appreciation, promotion and distribution of Mexican and Ibero-American films. It is a diverse selection of international movies, including national films, its Official Section is composed of features, documentaries, and short films from Mexico and Ibero-America. The Morelia International Film Festival (FICM) emerged as a need to create a unique meeting point in Mexico for the cinematographic community, the people of Michoacán, and international filmmakers. 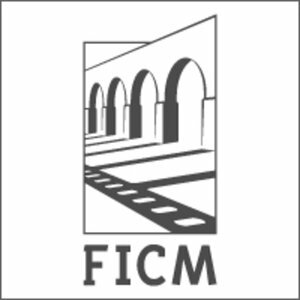 FICM started in 2003 with the goal of establishing a forum to promote up-and-coming Mexican cinema talents, to create incentives and cultural opportunities for the Mexican and international public, and to display the cultural richness of the state of Michoacán. The Guadalajara International Film Festival (FICG) is the most important cinematographic event in Latin America. The quality and relevance of the film program; the celebrities and renowned filmmakers that stop-by; the professionals that pin-down projects; along with the public enjoying a myriad of cultural, educational and entertainment activities; have positioned the Festival as the a premier event for Ibero-american cinema. Since its First Edition in February, 2011, FICUNAM laid down the basis to create a new space in Mexico to gather the most vertiginous avant-garde cinema and to screen the films of great authors from the past who remain relevant, as well as those by still-active new masters. The 34th International Festival of New Latin American Cinema promotes and awards those works whose significance and artistic values contribute to enrich and reaffirm the Latin American and Caribbean cultural identity. Since 2003, the International Low-Budget Film Festival has been held in the small town of Gibara close to the eastern city of Holguín. Besides the competition itself, which awards prizes for fiction and documentary films, there are also meetings, concerts, recitals and art exhibitions. The festival promotes artistic quality with production costs kept to a minimum. The Cartagena International Film Festival (FICCI) is the oldest cinema event in Latin America, created in 1960. The Festival profiles new trends in World Cinema whilst maintaining its central focus on films from Ibero-America. FICCI also celebrates and supports the current boom in Colombian cinema, through its Colombia al 100% section, in which the latest and best Colombian films are launched nationally and internationally. The purpose of the Bogotá Film Festival is to emphasize the best International Films, to recognize Colombian Film Production, to serve as a stimulus of the Film Industry and to diffuse cinematography culture. The 13th Rio de Janeiro International Film Festival (Festival do Rio), which is headquartered in the historic heart of the city at the Armazém da Utopia, will screen some 350 films from more than 60 countries at 40 venues across the city. For two weeks, more then 400 films will be exhibited at the 34th Mostra, in over 20 spaces among cinemas, museums and cultural centers around São Paulo. The selection provides an overview of the world contemporary cinema and of the tendencies, themes, narratives and aesthetics produced worldwide. BAFICI was born in 1999 and has ever since grown to become one of the most prominent film festivals in the world, placed as it is in a privileged position on the international film agenda. The Festival is renowned as an essential means of promotion for the independent film output, where the most innovative, daring and committed films can be shown. In the span of its comprehensive programming the festival comprises several cultural expressions and gathers acclaimed directors and new talents within a dynamic atmosphere. The only “A” Latin American Film Festival, it was founded in 1954 out of the need to reflect the Argentinean film universe, as well as the international cinematographic scenario. As years went by, the Festival grew, becoming a vital exhibition of the development and exchange of the film industry and audiovisual arts. Mar del Plata International Film Festival is today a must for filmmakers, actors, producers, distributors and film lovers. SANFIC, Santiago Festival Internacional de Cine, is a cinematographic, artistic, industrial and educational platform, as well as a privileged symbol of the city and the country. In the festival’s seventh version – SANFIC7 – producers, directors, film critics and actors converge with audiences and gather around the most recent and important local and international productions, giving Santiago and the country a unique instance full of quality and currency. FICValdivia is a one-of-a-kind cinematographic event renowned for its focus on independent Chilean and Latin American premières, while featuring the latest productions from the most emblematic filmmakers in international cinema. Ambulante is a non-profit organization focused on supporting and promoting documentary films as a tool for social and cultural transformation. Founded in Mexico in 2005 by Gael Garcia Bernal, Diego Luna and Pablo Cruz, AMBULANTE brings documentary films and training programs to places where they are rarely available, in order to create a participative, informed and critical public, to procure new forms of expression, and to encourage debate in Mexico and abroad. In our time of uncertainties, the consolidation of the documentary as art that is autonomous and plural, intimate and public, urgent and perennial is symptomatic. We see a potential documentary in every corner, in every story, as if the technological advance had foreshadowed the instability of the times and the urgency of its record. DOCSDF is the International Documentary Film Festival of Mexico City. It is known for the quality of its program, awards, the response on its call for entries, and its multiples and rich activities. This Festival seeks to become a platform for the international promotion and exhibition of the Mexican and Latin-American documentary production. Cine Las Americas is a multi-cultural, 501(c)3 non-profit organization based in Austin Texas. 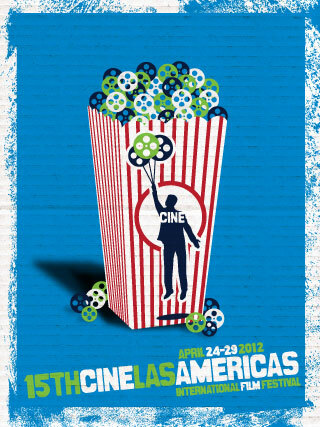 The mission of Cine Las Americas is to promote cross-cultural understanding and growth by educating, entertaining and challenging diverse audiences through film and media arts. The CLFF is produced every April by the International Latino Cultural Center of Chicago, a pan-Latino, nonprofit, multidisciplinary arts organization dedicated to developing, promoting and increasing awareness of Latino culture among Latinos and other communities by presenting a wide variety of art forms. During the festival, films from all of Latin America, Brazil, Spain and Portugal are screened throughout the city. Launched in 1999, the New York International Latino Film Festival (NYILFF) is now the premier Urban Latino film event in the country. The NYILFF’s mission is to showcase the works of the hottest emerging Latino filmmaking talent in the U.S. and Latin America, offer expansive images of the Latino experience, and celebrate the diversity and spirit of the Latino community. The Havana Film Festival New York (HFFNY) collaborates with Havana's International Festival of New Latin American Cinema to introduce its audience to prominent and emerging filmmakers by showcasing the latest award-winning films and classics from and about Latin America, the Caribbean and the U.S. Latino community. HFFNY seeks to cultivate audience-artist dialogue through panel discussions designed to give a behind-the-scenes look at an industry that continues to gain global recognition. The festival program offers directors, actors and producers an opportunity to exchange ideas, enriches and expands the vision of Latino culture and provides a multi-cultural experience for a diverse audience. Spanning 11 countries from Cuba to Chile, this year's edition of Latinbeat features U.S. and East Coast premieres by up-and-coming as well as established filmmakers. See your favorite actors in romantic comedies, edge-of-your-seat thrillers, thoughtful dramas as well as eye-catching animations and documentary that flirts with fiction. We are proud to say adios cliches and HOLA MEXICO. Our goal is to showcase the real Mexico and transmit our vision of what life in Mexico is on a day-to-day basis. Mexico is not what is seen on current television networks or select news reports. We invite you to say goodbye to all the clichés that surround us every day and say HOLA to Mexico through the eyes of our Film Festival. PERUFEST is a pioneer event at New York City, being the first festival to be exclusively dedicated to the Peruvian Cinema. Founded in April, 2010, PERUFEST presents the most recent cinematographic productions of the new generation of Peruvian directors. Once again this year, the Ecuadorian Film Festival of New York screens some of the most avant-garde films produced in Ecuador in recent years. As before, the fifth edition of this festival aims to promote the creation and development of young filmmakers in Ecuador by publicizing their work to the American public. Film will once again offer an open window to a world where not only do we see a part of ourselves reflected, but is also a showcase for a country, its landscapes, its people and their stories. The annual CortoCircuito Latino Shorts Film Festival of New York hosts the most exciting films from Latin America, Spain and U.S. Latino including a selection of festival circuit award winners. 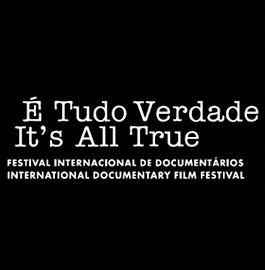 A collaboration between The Museum of Modern Art and the Rio de Janeiro International Film Festival, the annual Premiere Brazil! festival introduces New York audiences to original and accomplished work by both new and established Brazilian filmmakers. 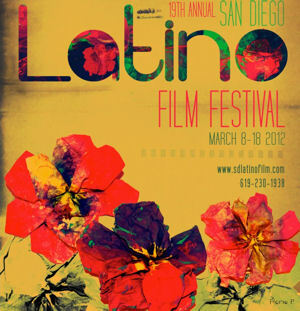 The San Diego Latino Film Festival was established 19 years ago as a student film festival focusing on works by Latinos and/or about the Latino Experience. Since that time, The San Diego Latino Film Festival has developed into one of the larger and well-respected Latino film festivals in the country. Over 225,000 people have attended during the past few years and over 3,500 films/videos from across Latin America and the United States have been screened. The Los Angeles Latino International Film Festival (LALIFF) Its mission is to showcase, nurture and support existing and emerging creative Latino filmmakers with diverse visions in the United States and internationally. Serve as a springboard and catalyst for the promotion and distribution of Latin films. Bring awareness through film, the most influential audiovisual medium of our time, the richness and diversity of Latin culture. Invest in our community through our mentorship & internships programs and develop an audience for our cinema. The Seattle Latino Film Festival (SLFF) celebrates the art and entertainment of Latin American cinema. Our goal is to bring audiences and filmmakers together for an educational experience and to support the magic of film making as a part of Hispanic culture globally. CineSol Film Festival is a showcase festival that makes its way across the Rio Grande Valley, celebrating achievement in the art of filmmaking. CineSol is dedicated to furthering the art, craft and business of screenwriters and filmmakers and recognizing their artistic contributions. CineSol supports the work of aspiring and established filmmakers by enhancing public awareness of their artistic endeavors and by encouraging dynamic and long-lasting community alliances. Tucson Cine Mexico is a premiere film festival in the US focusing entirely on the work of an exciting generation of young filmmakers from different regions in the country who are drastically changing how Mexicans see and represent themselves on the big screen, and challenging traditional notions of Mexican culture and identity. The festival is dedicated to presenting the best in contemporary Mexican cinema to a diverse audience.